03.03.2018 Eromanga Sensei Fest! Kawaii Kon on 3/3 Eromanga Sensei Fest! happening tomorrow (3/3) at Kawaii Kon 2018 with Special guests Akane Fujita (voice of Sagiri Izumi) and Ryohei Takeshita (Director of Eromanga Sensei). Enjoy their panel and autograph session! 03.02.2018 Eromanga Sensei Coming to Blu-ray! 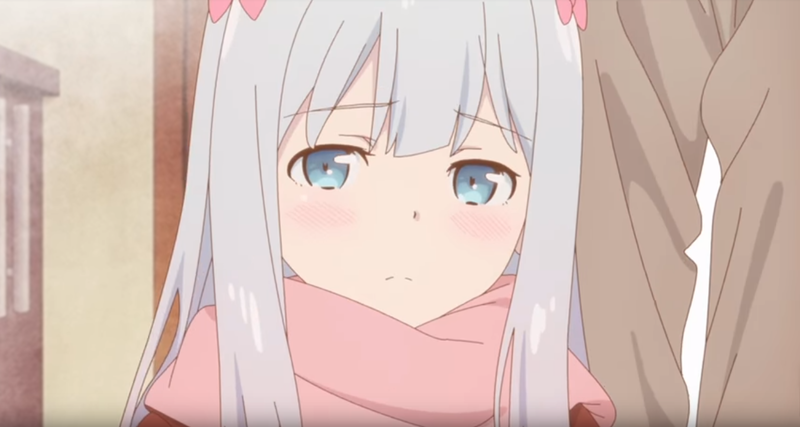 Eromanga Sensei is coming to Blu-ray! Check out the Blu-ray Page for more info! 08.18.2017 STORY Episode 12 Updated! Episode 12 "Eromanga Festival" is updated! 08.18.2017 STORY Episode 11 Updated! Episode 11 "How the Two Met and Their Future" is updated! 08.18.2017 STORY Episode 10 Updated! Episode 10 "MASAMUNE Izumi and the Younger Senpai" is updated! 08.18.2017 STORY Episode 9 Updated! Episode 9 "My Younger Sister and the Elf’s Island" is updated! Sagiri and Summer Fireworks" is updated!